(Newser) – ObamaCare is headed to the Supreme Court, but it's a case about the specifics of coverage rather than a broader fight on the program itself. 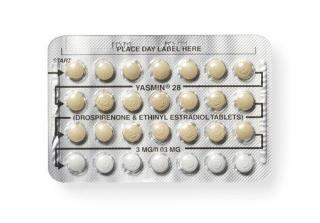 More than 40 companies have sued because they object on religious grounds to providing their employees with birth control, as the new law stipulates. Today, the court decided to take up the case of an Oklahoma arts-and-crafts chain called Hobby Lobby, reports the AP. The family that runs Hobby Lobby describes it as a "biblically founded business" and says the mandate that private, for-profit employers provide contraceptive coverage violates its religious beliefs. Why should our real estate taxes be inflated because religion pays nothing for real estate ownership. We taxpayers make up the difference for you supernatural freeloaders. That's also in addition to all the other taxes supernatural clubhouses can avoid. Why should those who live in the REAL WORLD support your insanity? What's good for one is good for the other. Don't want to pay for healthcare? Then start paying your REAL ESTATE taxes. Supernatural businesses are the largest owners of real estate in the USA. Let me guess, men will pay for female birth control?